Fiona Fyfe Associates was commissioned by the Fair Green Neighbourhood Association to research and design an interpretation panel to be read by residents and visitors. 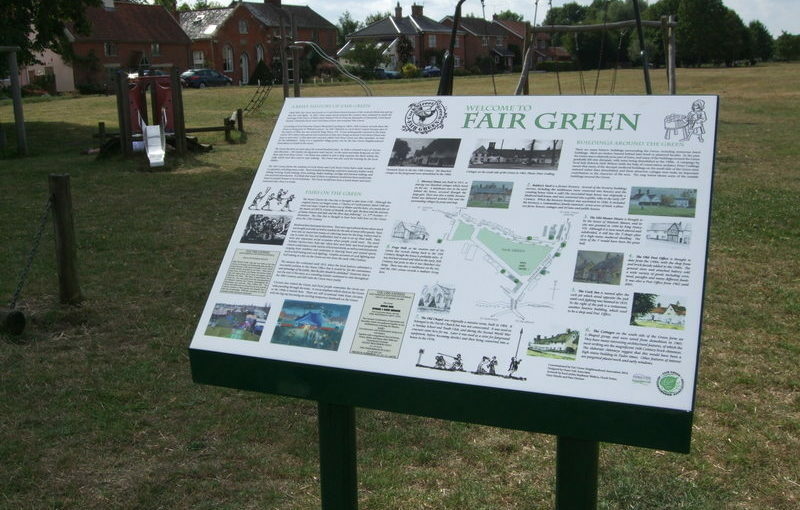 The panel describes the history of Fair Green, and includes a map showing key buildings and sites of interest. Fiona worked with local artists and historians to produce the panel, which includes text, artwork, cartography and photographs. She created the design using Adobe Create Suite software.